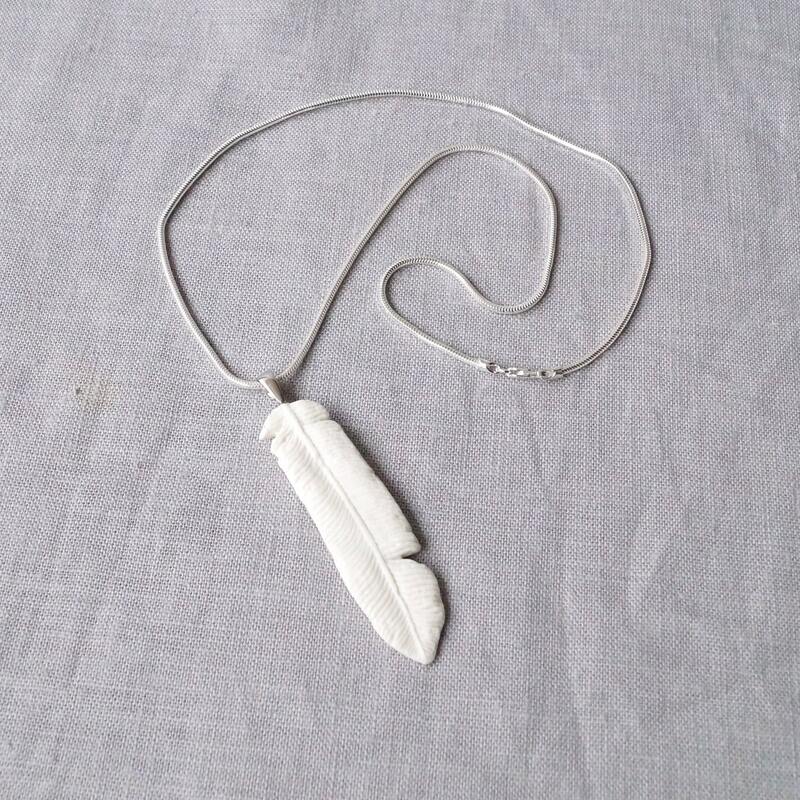 Light porcelain feather necklace with Sterling silver snake chain. 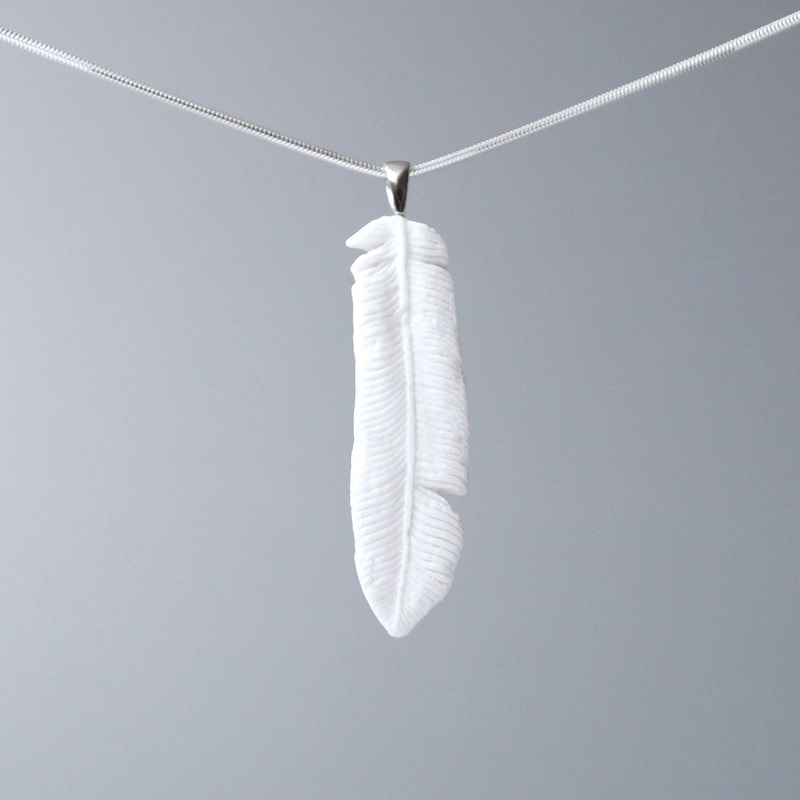 The feather is unglazed so the porcelain's detail and translucent quality can be appreciated. Hand crafted by me in ceramic porcelain clay. 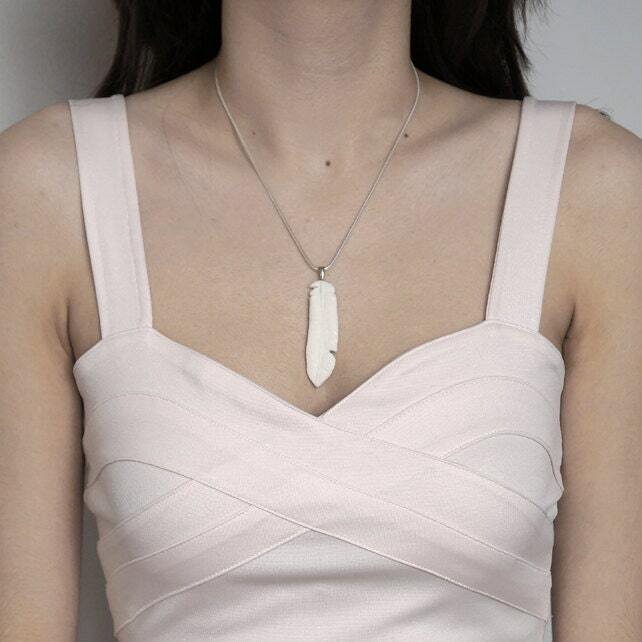 Feather is formed in a mould and carefully finished by hand. Feather 61 mm x 16 mm approx. Sterling silver bail (stamped 925). It is believed that feathers appear to us from angels or someone we have lost. 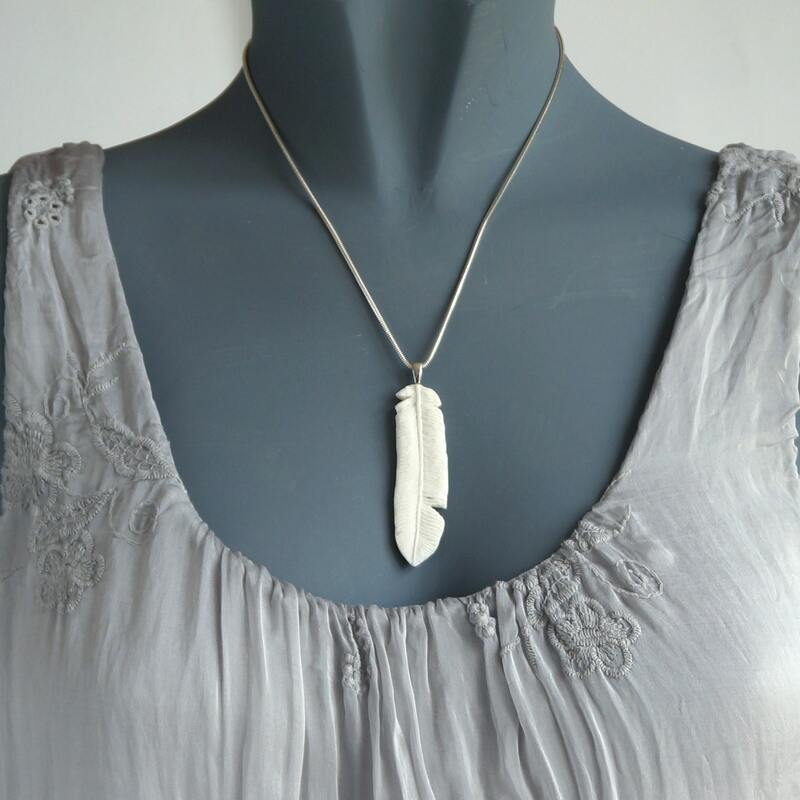 The jewellery in this feather collection is a lovely way to be reminded that we are not alone. Absolutely beautiful, I bought it as a gift and love it! 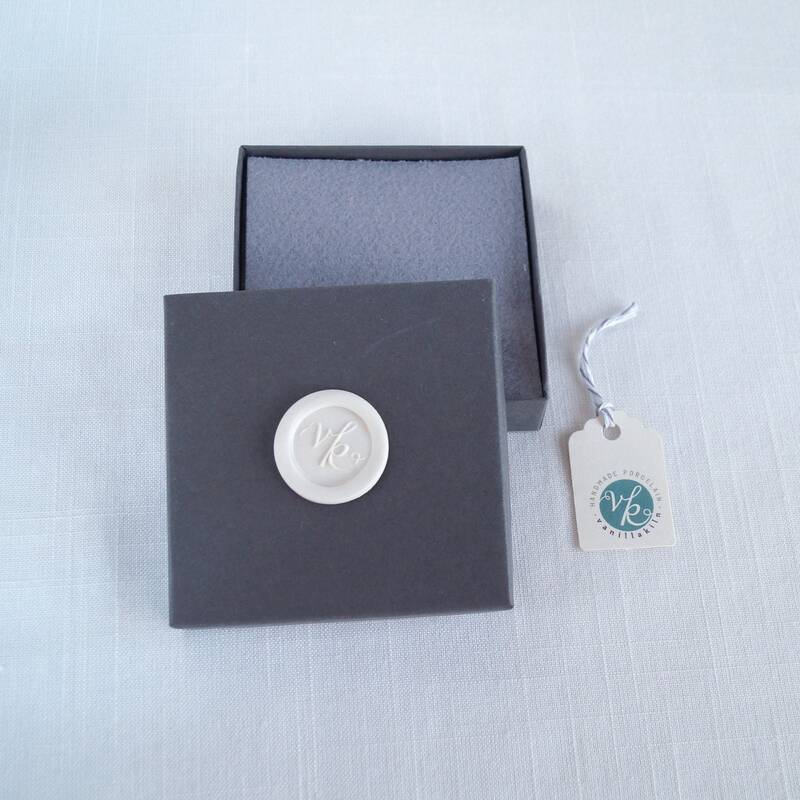 It's beautifully made and I can't recommend this more highly!